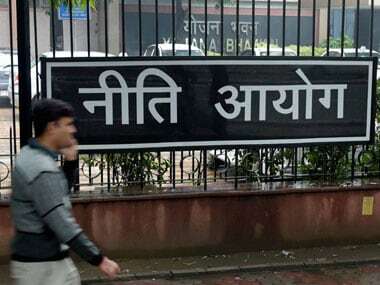 The government's policy think-tank NITI Aayog on Friday decided to partner with leading technology company IBM to develop a crop yield prediction model using artificial intelligence (AI) to provide real-time advisory to farmers in "aspirational districts". "The partnership aims to work together towards the use of technology to provide insights to farmers to improve crop productivity, soil yield, control agricultural inputs with the overarching goal of improving farmers' incomes," an official statement said. After signing a statement of intent with IBM, NITI Aayog CEO Amitabh Kant said bringing future technologies like AI into practical use will greatly benefit agriculture in the country by improving efficiency in resource-use, crop yields and promoting scientific farming. The first phase of the project will focus on developing a model for 10 backward districts — branded as aspirational districts by NITI Aayog — across Assam, Bihar, Jharkhand, Madhya Pradesh, Maharashtra, Rajasthan and Uttar Pradesh. "The scope of this project is to introduce and make available climate-aware cognitive farming techniques and identifying systems of crop monitoring, early warning on pest and disease outbreak based on advanced AI innovations," the statement said. "It also includes deployment of weather advisory, rich satellite and enhanced weather forecast information along with IT and mobile applications with a focus on improving the crop yield and cost savings through better farm management."